Plus, I’ll also help you create five extra profit centers based on your book including: an ebook, workbook, audio book, seminar and coaching program – so you can start making money soon. Apply now, because of all the personal attention my clients receive before, during and after the event, I can only accept 30 attendees at my upcoming Author’s Boot Camp, September 25th & 26th in Orange County, California. How much time have you spent trying to write your book on your own? Months? Years? Decades? A lifetime? How many times have you visualized what it would feel like to finally be an author? Do you ever feel like your life is on hold because you haven't completed your book yet? You know you have a very imporant message to share. But most people go to their graves with their book still inside them. Imagine holding your book in your hands and selling copies, presenting to clients, or gifting them to friends and family! That's exactly what I promise you when you attend my Author's Boot Camp. In just one weekend, you’ll get your book out of your head and onto paper. You’ll be on the road to becoming a published author. I always believed this book was in me but you were the one that got it out of me. True to your word, you got my book out of my head and onto the paper. I could not have done it without you. If people are judged by the value they provide and how much they enrich the lives of others, then you belong in the top 1%. Time is of the essence because in many professions, like speaking, training, sales and consulting, writing a book has become almost as necessary as having a website. If you’re a business professional, writing a book puts you head and shoulders above your competition. You now have a unique and powerful competitive edge to win! Become known as the “Expert” in your field. Create a Platform to build your business and create ancillary products. Sell your ancillary products online or at the back of the room when you speak. Be interviewed on radio, for magazines and newspapers. Doors open for publication of articles and columns. Command higher speaking and consulting fees. Expand your business - get the competitive edge over your competition. Demonstrate your passion and commitment to your business. Thank you for helping me make this dream come true. You are amazing!" every single day your book isn’t out? Each day that your book sits unfinished you're undoubtedly losing money, speaking opportunities, publicity and the ability to impact more lives. Perhaps you fear writing a book is too complicated or takes too much time. Maybe you wonder if you can even write a book at all. Anyone with a dream, desire or idea can write a non-fiction book using my unique and wildly successful (250+ books to date!) system that includes writing tools, creative strategies and techniques to transform the book idea in your head into a manuscript in your hands. 1. Are you are an authority on a subject? 2. Do you possess a skill that others wish to learn? 3. Do you have specialized knowledge or unique experience? 4. Have you created a process or system that can help others? 5. Do you have a desire to tell a story, share information or teach others? 6. Can you talk about your subject? If you answered yes to ANY one of these questions, you’re ready to write your book and I want to help you do it! Now let me show you how easy it is...and how much becoming an author can change your life. "You are my hero, I could not have done this without you. I have wanted to write a book for years. You made it very simple and so much fun! Thank you very much, I am forever grateful"
The tools, the process and your teacher are right here - ready to help you write your book and become a published author! Hi, my name is Ann McIndoo. During the past 10 years I've worked with the best of the best, including high-profile CEOs, executives celebrities, speakers and authors who are masters at creating the extraordinary in everything they touch. Even though I knew how to write and was successful as a trainer and creator of learning materials, it wasn't until I worked alongside one of the bestselling self-help authors of all time that I learned the tools and process of writing a book in a very short amount of time. 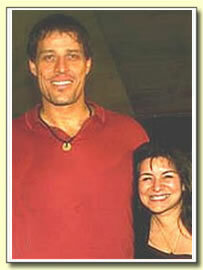 I started working with Tony Robbins in 1995 as a volunteer crew member and over time joined his logistics team where I typed everything he said from the platform at seminars. In 2003 I became a creative assistant and literally sat alongside Tony as he wrote his latest book. This was like attending a university in the art of writing a book. Tony always wanted to get the ideas for his book out of his head as fast as possible... "decades in a day" as he calls it. He has several incredible techniques for doing this, one of which is “talking” your book and a special process for creating the structure of the book. 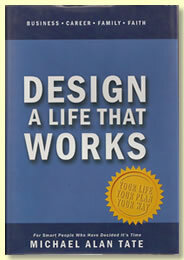 I went on to add my own elements to this and in 2005 started a coaching program for authors. “Ann, you did an amazing job. 250+ non-fiction books have already been written using my unique system … yours should be next! 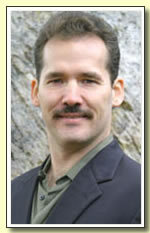 Eight people attended my first Author’s Boot Camp in May 2005 and 13 books were created during that weekend! In the last four years all 250+ of the authors I’ve worked with created and published non-fiction books including many that are listed on Amazon.com, on shelves in Barnes & Noble, being sold online, marketed live from radio interviews and being sold at the back of the room generating revenue for their authors. You can easily be one of them! You will have confidence and know exactly what to write about because I will talk to you personally to find out what part of the message people will care about most. You really will write a book in a weekend, because of the coaching before and after the boot camp and my method of talking your book. I did it! 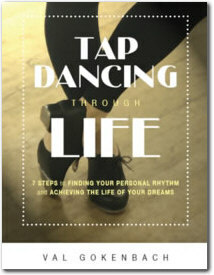 Not only did I write my book, get it published but I am now on the Barnes & Noble Top Ten Best Seller List! I am so excited! Thank you, Ann, for your coaching, guidance, patience and belief in my book and most importantly, helping me keep my belief in my book alive. I could not have done this without you." It's true! I am proof that Your Author's Success System works! Thank you!" It’s time to give up the myth that writing a book is a long, drawn-out process that takes years and years of incredible struggle…and time. Time that you simply don’t have because, let’s face it - most of us are extremely busy! Well, guess what! You no longer have to block out one or two years from your life or give up countless weekends to sit behind a computer writing and re-writing your book. Why? Because, together, with a little preparation before my event (3 hours per week for 6 weeks), you and I will get your book out of your head and onto paper in just two days! No kidding! I believe writing a book is a fun, creative and extraordinary experience, and I want to share this process with you. How Can You Write A Book In Such a Short Time? •	Completed your Manuscript Grid™, the blueprint for your book! Your Author's Boot Camp was the best investment I ever made. I had my book in my hands in record time. 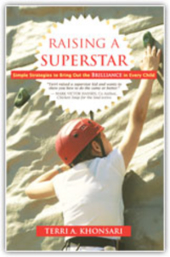 From our first coaching session to a published book in my hand, was just 14 weeks! You are truly the best Author's Coach! Thank you!" 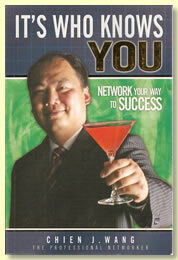 Author, It's Who Knows YOU, Networking Your Way to Success! in such a short amount of time? Whether you know it or not, every chapter, every pearl of wisdom and every inspiring idea is already within you. I am going to help you organize your ideas, materials and content to create the manuscript for your book. YOUR BOOK ALREADY EXISTS! All we need to do is get access to it; and that is exactly what the author's coaching sessions and exclusive event is all about. The end result is a quality product you can use to build a new career or enhance the one you have. Your book will add an extraordinary dimension to your life. The only question is, are you ready? You will break through the writer's block barrier with my "Writer's Power Tools" ....once you learn how to use these tools you will triple or even quadruple your productivity. You’ll be able to get into your creative zone any time you want, for as long as you want! Procrastination will now be impossible. People need to have a deadline. My weekly calls in the weeks leading up to the boot camp provide accountability because I give you specific tasks to do each week. That's how you prepare for the weekend boot camp and it works! Perfectionism will no longer slow you down. Creating and editing are two different processes but too many authors get bogged down because they combine the two. We give you a structure for creating your book and getting your ideas out quickly. Then my step by step editing process will turn your rough draft into a magnificent, extraordinary, brilliant and life-changing book. You won't have to do several days or even hours of research before writing your book. In school you were always told to do research first before writing. I tell you just the opposite. You will only do research after your ideas and materials are organized so that you won't waste time doing unnecessary research. You’ll be on the road to making money from your book and expertise because in addition to your book’s manuscript, I’ll help you create up to five spin-off products based on your book that can give you ongoing passive revenue. Remember, those are the prices YOU will charge. I help you create the products for free as part of the author's boot camp. You have access to an entire team. You'll no longer have to struggle to put together your book all by yourself. My team will help you through all the phases of your manuscript, take care of the editing, design and proofreading for you. At no extra charge, we’ll get the first five copies of your book printed and advise you on your best options for choosing a publisher. You can write a book even if you don't know what to write about! Whether you have a shortage of ideas or an abundance of topics and don't know how to narrow it down, I will coach you before the Author's Boot Camp to uncover the unique book inside you that wants to get out! My whole life I have wanted to write a book but lacked the courage and self-confidence to try it. It wasn't until I met amazing Ann McIndoo that I finally began to believe in myself. Her brilliance and magnetic personality is inspiring, spiritual and contagious! She has changed my life! Her processes are directive, organized and absolutely foolproof, she gives 150%. I will always consider her a friend and life coach. My author's success system works for ALL types of non-fiction books. I have helped authors produce books in almost every non-fiction genre you can think of - just check out the list below. My unique book writing process really works! including these in the Author's Boot Camp..
that doesn’t even sound like you? Many aspiring authors think they need a ghostwriter. Sometimes hiring a ghostwriter can work out well, but bear in mind the best ghostwriters usually cost $15,000.00 to $25,000.00 or more and it may take you six to nine months just to get a good one. Then they'll usually want six to twelve months to write your book. However the biggest problem with ghostwriters is that you often end up with a book that’s not written in your voice. You also won't have the same sense of ownership over your book that you would if you write it yourself. Can you imagine feeling as proud of showing off your book to everyone if it was written by a ghostwriter? Wouldn't you instead want to be able to tell people you wrote it yourself? At my Author's Boot Camp we literally pull your book out of you. During the coaching sessions leading up to the boot camp, and during the boot camp itself, we give you exercises, ask you questions and give you a structure for "talking your book." Even if you aren't a professional writer you might find more than one book pouring out of you. One of my boot camp authors wrote 3 books in a weekend! “Ann hooked me up with an amazing process, and also just got me on the road to actually getting it done. Since then, it’s been a bestseller in its category, and was in the top 75 books on Amazon for a few weeks running. It’s also been produced at such a high quality that it attracted the attention of many things. I’ve done a gazillion media interviews, and my next book is coming out…..and it’s all because I think that the level of excellence I brought to the first book sort of paved the way for everything that’s come since. What Ann brought to the equation was a level of expertise and a level of excellence. I believe & teach that if you want to do something excellent, you have to model somebody excellent – like Ann. Here was a shortcut to what I consider to be an excellent product which has led to new business, and media, and a new book deal – and it all started with me taking that step with Ann. It’s not just getting the book done, but getting it done well – getting it done the best that anyone could, and I think that’s the clincher. Picture yourself attending the Author's Boot Camp. Now picture yourself with a completed manuscript in your hands. Is there a huge smile across your face? Of course there is! Take it from me, there is NOTHING like opening up your first box of books and holding your finished book in your hands, knowing you now have the tool to make a difference, to change lives, take your business to a new level, make your dreams come true. Let’s get started now and you’ll have your books in less than 90 days. Get ready to be invited to speak and present! Do you want to appear on Oprah? Of course it’s never easy to get on Oprah, but it’s even harder if you’re not a published author! Now picture yourself creating a host of spin-off products from your book: a CD, a coaching program, a workbook, an ebook, another book, a seminar and more. Before you know it you're selling products online and making money while you sleep. These are the ancillary (spin-off) products I mentioned earlier. You will learn how to create and produce these. I'll even make one for you! It all starts with the first step: writing and completing your book. After that, the sky's the limit. “Ann, Thanks for a wonderful weekend. You delivered exactly what you promised and I got exactly what I needed. When I heard about your process, I was skeptical. It had taken me 9 months to write 50 pages of my book. But it's all true. 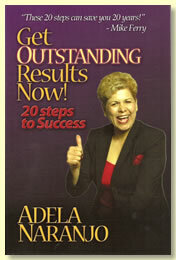 I finished my book at your Author's Boot Camp and received incredible training on what to do with my new book. Your enthusiasm and clear, step-by-step process enabled me to do what I had been unable to do on my own." a finished book in your hands! Pre-event Author’s Coaching Program to get you ready and prepare your materials to do your book at the event. The two-day Author’s Boot Camp itself (Saturday, September 25th and Sunday, September 26th in Orange County. Exact location sent to you upon acceptance. The hotel is mere minutes from the Santa Ana airport with free shuttle service available. You can also fly into Los Angeles International Airport because we're only 45 minutes away). .
Post-event Author’s Business Building Coaching Program during which time I’ll have your manuscript professionally prepared for your review. It will be line edited and formatted for an ebook. . The pre-event Authors Coaching Program includes step-by-step guidance from me and my staff through the entire book writing process, beginning with getting your book idea out of your head and ending with a completed, professionally prepared and edited, ready to publish, manuscript in your hands.You will be amazed by how much you learn and how simple it has been made for you to succeed. We’ll ship you a copy of my fabulous Author’s Kit which includes my audio CDs, Author's Workbook and Calendar, Storyboard Kit - everything you need to write your book including all materials and supplies. It is delivered to your doorstep via priority mail in an Author's Canvas Bag along with some very cool special surprises. You'll be prepared to write your book in a weekend by simply spending three hours a week for six weeks getting ready. It's all part of my pre-event coaching which helps you organize all your thoughts and ideas quickly so you can talk your book in two intensive days at my bootcamp. You’ll get six weeks of pre-event coaching classes with me and the other attendees before the boot camp to prepare you for writing your book. These are all taught via conference call and recorded in case you miss one. Each class lasts approximately 45 minutes and then I stay on the phone until all your questions are answered. 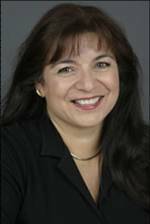 I�ll help you create your unique "Author�s Identity," book structure, chapters, subjects and topics for your book. You'll get four weeks of post-event coaching. After the bootcamp, your coaching continues with four classes on Author's Business Building to help you maximize your ability to use your book and ancillary products to market yourself and generate income. These will all be recorded as well in case you miss any. You'll also get four one-on-one consultations with me or a member of my team. In addition to the group classes, you'll also get four private consultations including an Orientation Consult, Book Strategy Consult, a Pre-Event Check-In Call before the bootcamp to ensure you're ready to go, and a Post-Event Call. .
You’ll blast through writer’s block with your personal "Writer’s Power Tools.™" You’ll learn how to write "on demand". This is your key to optimizing your creativity and productivity during your Author's Boot Camp and any time you sit down to write in the future. You’ll get writing strategies and techniques for getting the content out of your head and onto the paper - quickly! You’ll get help creating your Manuscript Grid™, which will show you the structure for your book as well as your book's storyboard, your key to seeing your book come alive. You’ll get admission to the Authors Boot Camp, September 25th and 26th in Orange County. The Author’s Boot Camp is limited to 30 attendees and hotel information will be sent you once you’re formally accepted. I’ll be there the entire weekend, plus I’ll also assign you one of my personally-trained Author Trainers to work with you on your book. Each Author Trainer has already written one or more books with me themselves and is a published Author, so they know my process very well. There is an Author’s Trainer as well as a support team for every five boot camp attendees to ensure you are well-supported and taken care of. You’ll receive your manuscript which has been professionally prepared within 30 days after attending the Author's Boot Camp. You’ll get a professionally-prepared eBook based on your manuscript which you should be able to sell for $29.00+. You’ll get my help creating five additional profit centers based on your manuscript – an ebook, journal, audio book, workbook, seminar and coaching program – in order to help you make as much money as possible from your book/expertise as quickly as possible. This alone is more than worth your tuition! Plus other other special bonuses and surprises before, during and after the boot camp! Most people who start writing their books have the same success as people who start diets. They�re excited when they start, but they ultimately fail in the long run. If you�re able to be incredibly disciplined day-after day for six months to a year, and you don�t need the assistance of a publishing expert, it is true that you might be able to complete your book all by yourself. But sadly, most people don�t. They go to their graves with their book inside them because they began writing but never finished. And it�s not really their fault. Despite their decision to write their book, life takes over. They get busy. They have jobs to go to or businesses to run. They have loved ones to take care of. They have a slew of time commitments which get in the way. Even those who persist discover painfully that their book project drags on and on taking many more months � even years � than they initially thought it would. If you�re looking for the absolute cheapest way to complete your book, my Author�s Bootcamp is not for you. Some people prefer to save money by driving from New York to Los Angeles. Others don�t have time for that. They prefer to fly. Those are the people I am set up to help. 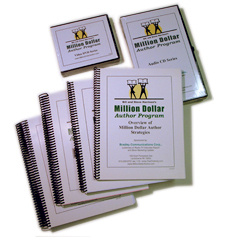 I�ll be the first to admit my Author�s Bootcamp is not the least expensive way for you to write your book. 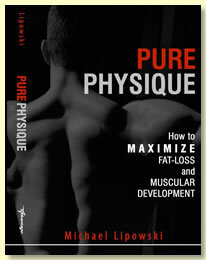 But it�s the best option for people who want to produce a high-quality book quickly. I charge $60,000 to work with someone one on one to ghostwrite a book from scratch. You can find cheaper ghostwriters usually for $20,000 or more. But I created my Author�s Bootcamp as a way of providing you with many of the same benefits of having a ghostwriter and book production team behind you without your having to pay nearly that much. The tuition to attend my Book Author's Bootcamp is $5,497, or three monthly payments of $1,865 each. Click here now to grab your spot. I realize that $5,497 is a significant investment. But it�s not much when you figure how much money can come your way once your book is finished. Once you�re an author and show people your book, you could recoup your investment in a number of ways. It might be from�. �just ONE huge publicity hit � perhaps an appearance on national TV or favorable coverage in a national newspaper or magazine. �just 250 copies of the ebook version for $20.00 �just one workshop or seminar that you host where 25 people pay $200 to attend. �just two clients who agree to pay you $2,500 per year as a consultant. So you see, you don�t have to become a bestselling or nationally famous author to be able to recoup the investment you�re making and start being able to spread your message, change people�s lives, and increase your income at the same time. and become a successful author. 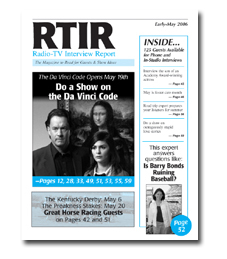 Bonus #1 - Get radio/TV publicity for your book with three full-page ads in Radio-TV Interview Report (RTIR), the magazine 4,000 producers read to find guests. Imagine getting radio/TV interviews without having to lift a finger. They’ll interview you in-depth and create a compelling publicity hook around your topic. Then they’ll run a full-page write-up about you in RTIR which reaches 4,000+ radio and TV producers. RTIR has become known as the “bible of the industry” when it comes to finding guests. Their clients have been booked on such shows as Oprah, Today, Good Morning America, Larry King, CNN, and radio talk shows around the country. Most if not all of your response will usually come from radio stations who’ll interview you via telephone. Think about it…you could talk to people in San Francisco, Dallas and New York – all in one afternoon! The three ads are regularly $2,931.00 but yours FREE. Bonus #2 - Discover the strategies of “million dollar authors” – men and women who’ve made more than $1 million from their writing – and the experts who helped them get there! Now you can learn the proven, insider strategies of million dollar authors Deepak Chopra, Mark Victor Hansen of Chicken Soup for the Soul, Dan Kennedy, Robyn Spizman, Joe Vitale, Greg Godek and Jim Edwards as well as battle-tested advice from publishing and publicity pros like former Oprah guest booker Michele Anton, John Kremer, Arielle Ford, Rick Frishman, Mahesh Grossman, Bill and Steve Harrison, super-agent Jeff Herman and “Mr. X,” the man who’s created 18 national bestsellers. You’ll be able to tap their collective wisdom for your own book because as part of my Author’s Boot Camp, you’ll also receive audio CD’s, video DVD’s and three how-to manuals from Steve Harrison’s Million Dollar Author Program (regularly $795.00 but yours FREE when you’re in my program). Because of all the personal attention my clients receive before, during and after the Author’s Boot Camp, I can only accept 30 attendees so if you’re interested get your application in right now. Every day your book isn’t out, it’s costing you money in the form of lost book and ancillary product sales, foregone publicity as well as speaking gigs, consulting engagements and more. With my Author’s Boot Camp, I’m giving you everything you need to get your book out of your head and onto paper. Remember, you’re not just getting a book – you’re getting a business because in addition to your book, I’m going to help you create up to five ancillary products based on your book including an ebook, journal, audio book, seminar and coaching program. Click here now to apply for one of just 30 spots at my Author’s Boot Camp. Imagine becoming an instant expert when your book is published and receiving all sorts of opportunities that you never had before! Lives have been changed during this event. If you are ready to transform your book idea into a completed manuscript in your hands, act quickly before all 30 spots are gone (there are only 11 spots remaining). The Author's Boot Camp is limited to just a few lucky authors so you will receive the highest level of personal attention. Click here now to apply for your spot. Experience my Author’s Success Book Writing System that guarantees real results! PS #1 -- Remember because of all the personal attention my clients receive before, during and after the bootcamp, I can only accept 30 attendees at my Author's Bootcamp so Click here now to apply for one of the 11 remaining spots. PS #2 -- Wait until you're formally accepted to make your travel plans. The boot camp will be held in Orange County, California mere minutes via free shuttle to the Santa Ana airport (or alternatively you may fly into Los Angeles International Airport which is only 45 minutes away). Click here now to grab your spot. in less than 90 days... guaranteed!